Jeanette Epps will become the first African-American to board the International Space Station in 2018. More than 100 astronauts have visited the International Space Station since it was first launched in 1998. Of the 101, the U.S. has accounted for 49 of those visitors, a fraction of the hundreds of astronauts NASA has sent into space over the decades. But now, for the first time ever, an African-American will call the International Space Station home, NASA announced Wednesday. Jeanette Epps will be part of Expedition 56 to the ISS in 2018 and will remain on board as part of Expedition 57, per a press release. That will make her the first African-American to crew the station, as well as the 13th woman. 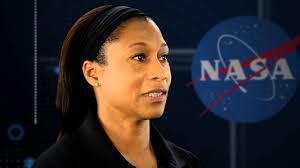 Epps has served as an astronaut since 2009 and has a Ph.D. in aerospace engineering from the University of Maryland. She has also spent several years as a CIA technical intelligence officer, according to her biography. NASA has had just 14 black astronauts who have traveled into space in its history, three of which were women, according to its website. Several of those astronauts flew missions to the ISS but none have stayed aboard. NASA’s announcement comes just before the release of the film “Hidden Figures,” which tells the story of three African-American women who were pivotal in the launch of the first American into orbit, John Glenn. The movie, which has enjoyed a warm reception from critics, per Rotten Tomatoes, has been praised for its authentic feel and adherence to history, per Space.com. Epps has appeared in a NASA video in conjunction with the film, offering advice to young women in science, technology, engineering and mathematics.